The cattle trade remains steady, but there has been a noticeable number of cattle coming forward, according to mart managers around the country. However, the increased numbers did little to dampen the trade with store cattle readily achieving upwards of €2/kg. The weaning trade also remains in good stead as exporters make their presence felt around the ring. There was a good trade for the 370 cattle on offer in Mohill Mart on Thursday last, according to the Mart Manager Steven Hannon. According to Hannon, the trade for heavy steers was a little handier than previous weeks with heavier lots harder to move as a result of the downward factory prices. The heavier steers sold to a top price of €2.20/kg while the lighter lots made up to €2.50/kg. However, despite the slower trade for steers the heifer trade remained good with heifers weighing in the region of 500kg making €2.44-2.50/kg. There was also a good demand for factory fit cows and these lots generally sold for €2/kg, while the hammer fell on the lighter feeder type cows from €1.60-1.70/kg, said Hannon. There was also a good trade in Mountrath Mart on Thursday last with over 170 bulls and 150 heifers on offer, according to Co-Mart Manager JJ Peters. According to Peters, the demand for weaning types remains good and there was an increased presence of export buyers around the ring last week. Weaning type bulls sold from €2.16-3.03/kg, while the heavier bulls on offer weighing in the region of 500kg made €2.34-2.61/kg, said Peters. There was also a good demand for weaning heifers and these lots sold from €2.32-2.69/kg. According to Peters, there was an exceptional trade for the 35 suckler lots on offer with springers making €1,550-1,750. There was also plenty of demand for cows and calves and these lots sold from €1,700-2,300. Balla Mart had its largest sale of the year on Saturday with 1,300 lots passing through the ring. The increased numbers had very little impact on the trade according to the Mart Manager Michael Murphy who said the prices paid for store bullocks had increased by €20-40/head. Store steers in the Mayo venue sold for €1.74-3.12/kg, while the hammer fell on the heavier lots from €1.66-2.66/kg. There was 450 heifers on offer and these lots made €1.66-2.75/kg for the store lots, while the heavier types traded from €1.77 to 2.96 c/kg. According to Murphy the trade for breeding stock remained strong as there was a special entry of 21 in-calf heifers. The top lot sold for €2,500, dry cows also went well and made €1.55-2.70/kg. The trade also remained steady in Ennis Mart on Thursday last, according to the Mart Manager Martin McNamara. The Clare venue also had the largest sale of the year with over 2,300 cattle passing through the ring last week. According to McNamara, there was an increased number of dry cows starting to appear, feeder type lots generally sold from €1.50/kg, while the better continental types traded for €2.06-2.23/kg. 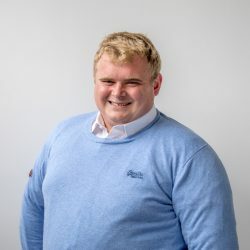 There has been no great change in the steer trade, said McNamara, the lighter steers weighing less than 500kg sold for €2.06-2.23/kg while the top of the heavier lots sold for €2.87/kg. Friesian steers sold from €1.60-1.70/kg. The heifer trade also remains strong, these lots weighing over 500 kg sold from €1.87-2.83/kg on Thursday, while their heavier counterparts sold from €1.76-2.64/kg, he said. 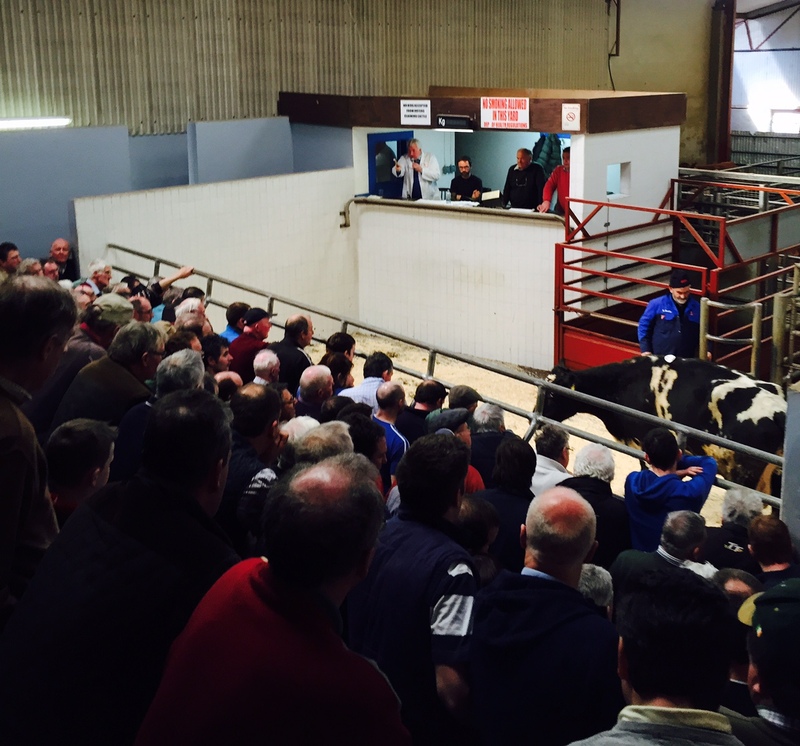 There was a large entry of top quality stock on offer in Castlerea Mart on Thursday, according to the Mart Manager Brendan Egan. A large entry of 950 cattle were in demand from farmers, bull beef finishers and exporters, he said. 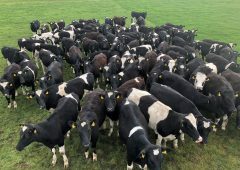 The heifers remained in demand in the Roscommon venue, the best of the lots weighing over 500kg sold for €2.41-2.68/kg, while the lighter lots made €2.70-2.90/kg. According to Egan, there was increased exporter activity around the ring on Thursday last, the best of the weaning bulls sold for €3.17-3.61/kg, while their counterpart heifers made €3.07-3.35/kg. Dry cows traded from €1.78-2.00/kg, while cows with calves at foot sold from €1,120-2,260. The hammer fell on the springers from €1,210-1,650.